It’s alcohol-free. Its bouquet has been specifically formulated for a baby’s cologne. 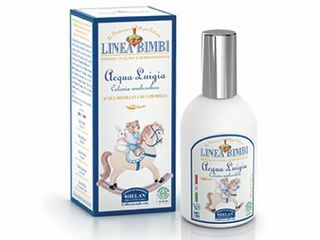 Refreshing, delicate and fine scent to complete the hygiene of your baby while pleasantly stimulating the sense of smell. Has soothing and calming properties. 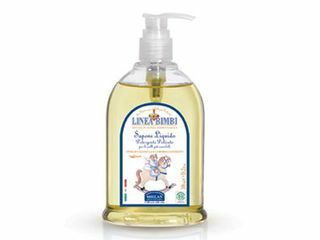 It also moisturizes and nourishes skin thanks to Marigold and sweet Almond oils extracts that delicately cleanse baby skin without altering its natural hydrolipidic balance, especially when skin is red or irritated and water is not recommended. Is particularly suitable for a soft daily cleansing of the skin. 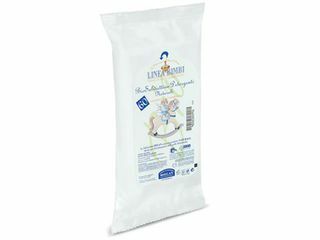 Very light and tender, without SLS and SLES, preservatives and dyestuffs. It generates a very light, soft and creamy foam, maintaining the delicate physiological balance of the most sensitive skins. They leave the skin clean, dry, as well as pleasantly soft and moisturized. They are made of 100% Organic Cotton cultivated with modern, biodynamic techniques using only natural resources, without any pesticides, synthetic fertilizers or GMOs. 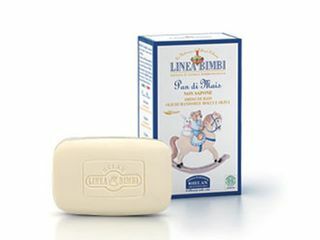 Enriched with Corn Starch and Oatmeal, this bar cleanses and softens the delicate skin of babies and young children. Especially soft and soothing, this product avoids maceration of the inguinal folds in newborns, keeping these critical areas dry and preventing redness and irritation. The delicate perfume provides a pleasant sensation of freshness and cleanliness. This extremely gentle, fresh, innovative formula combines both the characteristic dry feature of traditional talcum powder and the silky, moisturizing pleasantness of a fluid cream. 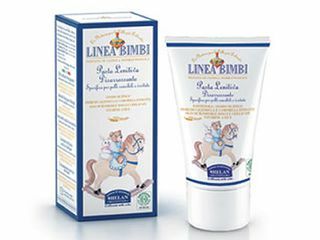 The pleasantness of the product together with the massage will give the baby a great feeling of wellbeing leaving the skin delicately smooth. 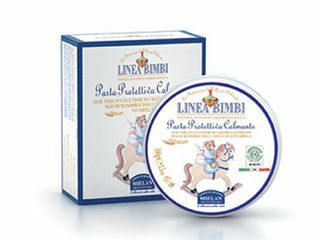 Ideal for fine, thin and curly hair, difficult to comb and to limit static hair and increase brightness, leaving it soft. 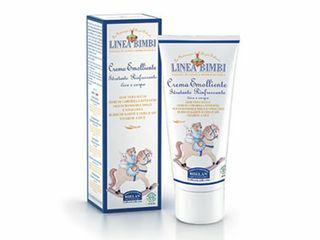 Ideal for children’s very delicate hair. 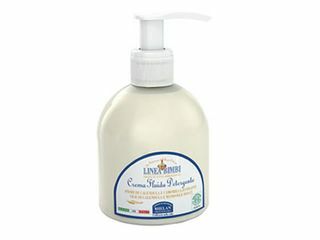 Fresh and velvety, this soft lotion combines the highly nourishing ability of sweet Almond and Grape seed oils, Karitè butter and Beeswax, rich in essential fatty acids, the regenerating action of Vitamins A and E, and the delicate soothing, emollient properties of Aloe Vera juice, and Camomile flowers extract to provide moisture and softness. It's ideal for massaging a newborn's body: perferct for moments of cuddles, well-being and great intimacy between the mother and her baby. Dissolves and delicately removes skin secretions without damaging the skin. 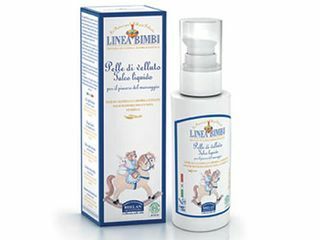 Has been specifically formulated and made to efficiently block wetness and irritating substances and to protect your baby’s skin in the delicate nappy area. 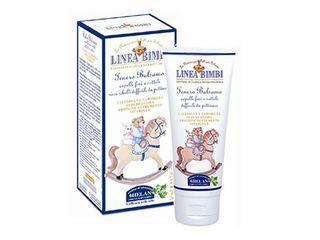 This makes a hydrating action which covers and protects and is specifically aimed to avoid rashes, irritations and chapping in the groin folds of skin. 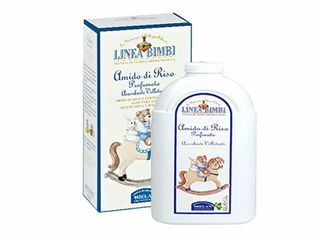 This formula was specifically realized to prevent and counteract the causes of rash and irritation in the delicate nappy area. HELAN’s Soothing Red-Relief Paste is effective and particularly suitable to offer relief to the baby’s skin.